TRENTON NJ — The city patrol officers have a new leader representing them. Michael Schiaretti was voted president of PBA Local 11 at the end of June, replacing longtime union boss George Dzurkoc. Dzurkoc was instrumental is signing off on the appointment of Trenton Police Director Ernest Parrey Jr. after Mayor Eric Jackson was elected in 2014. 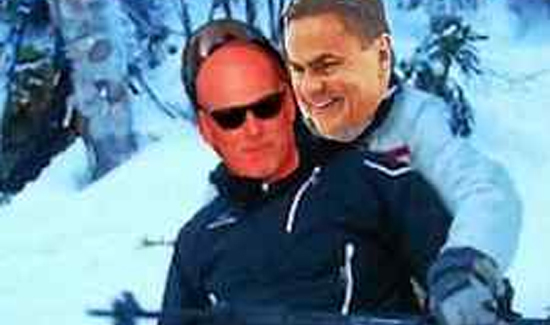 The former PBA Local 11 boss was so close with Parrey that he photoshopped an image of him and the director closely snowboarding together in March and posted it to social media. Since Dzurkoc was given the boot, attacks have ratcheted up against Parrey. That video is believed to be leaked by officers within the department since it was taken by body-camera video and shot last August. Only officers within the department had access to the footage and possibly knew of its existence. PBA Local 11 members were active in the past for expressing displeasure with former city police directors Ralph Rivera and Joseph Santiago. Leaks were a common occurrence during their tenures. Since Parrey was a former Trenton police captain, many viewed him as the closest the department would ever be to having a police chief again. Parrey was named police director in July 2014 by Jackson. For the most part, criticism and leaks against Parrey have been minimal since he took over. Coincidentally, that is until recently when the new union leadership was put in place. Police sources with knowledge of the new union guard said PBA Local 11 members are upset about side jobs and OT. Schiaretti, the son of a retired Trenton police officer bearing the same name, did not return a message seeking comment.